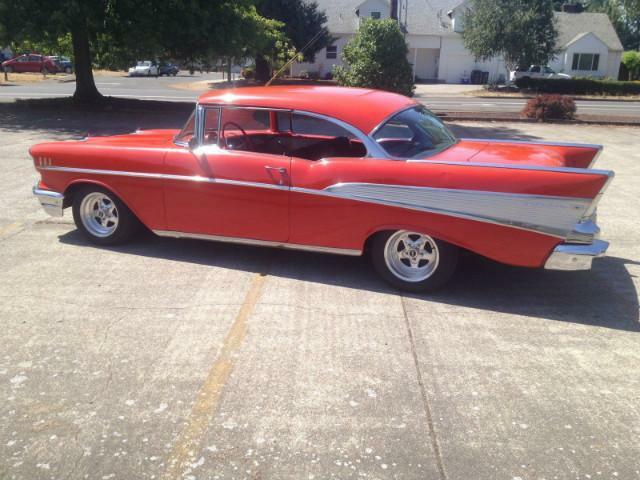 57 Bel Air 2DHT, 350 4 speed, runs and drives great, a real blast to drive. it could use an interior and a few minor dents fixed or enjoy it just like it is as I have been doing. It is just a good ole solid hot rod 57 that you can drive anywhere. Too Late, It is sold and off to Louisiana with Gary. I hope he has as much fun with it as I did, but check with me if you are looking for a 57 Sport Coupe as they are a favorite of mine and I get them in regularly.